1984 معرض القاهرة في مجمع الفنون بالزمالك – مصر. 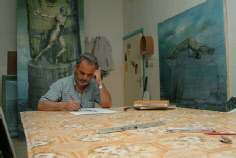 Born in Irbid in 1960, graduated from the Institute of Fine arts – Amman in 1979, then went on to graduate from Amman Teachers’ Institute in 1980. Yahya is currently working as a teacher, and is a member of the Jordanian Fine Arts Association and the Young Artist Group. 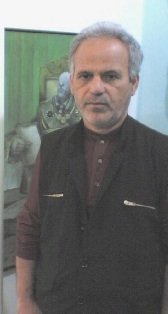 He has also published and translated several articles on art criticism in local and Arabic newspapers and magazines. Ministry of Tourisn, Amman; Ministry of Culture, Amman; Jordan National Gallery of Fine Arts, Amman: Qatar National Museum , Doha; The Institute of the Arab World, Paris; Abdul Hameed Shoman Foundation and the Arab Bank, Amman; Several private collection, Jordan, Farhat Art Museum Collection of Naim Farhat .